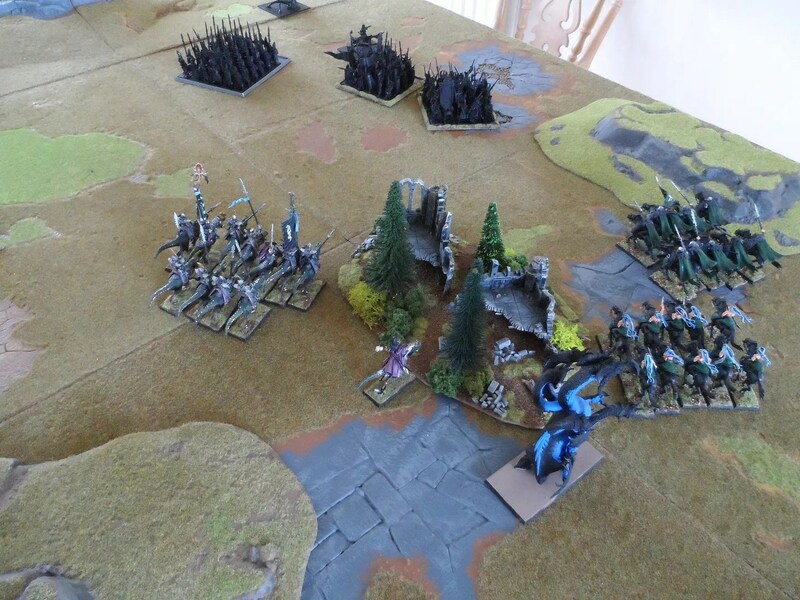 Byakhee Anthony and I had a game on Monday, Dark Elves vs High Elves. I’d thought I’d be facing a cavalry heavy army, so planned accordingly for my own cavalry heavy army. Instead, Anthony brought an entirely infantry army. 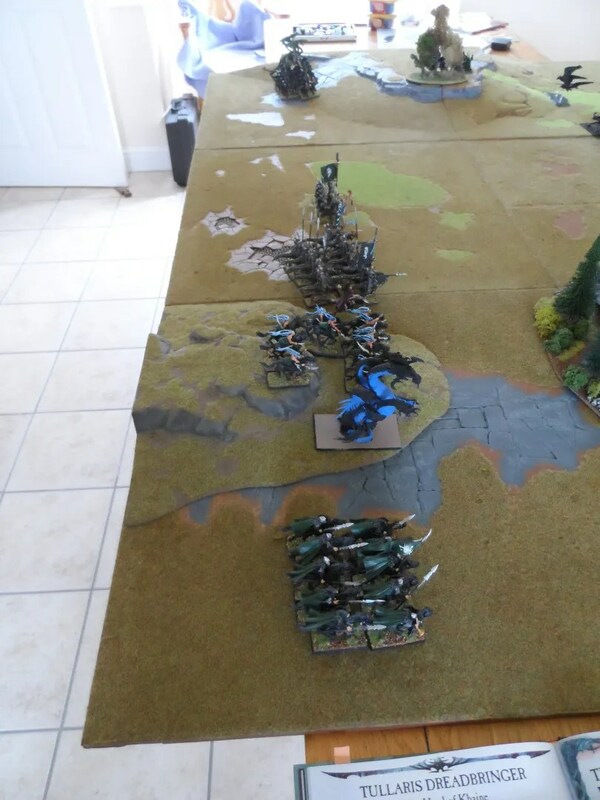 Vanguard move – lots of Fast Cavalry moved forward. 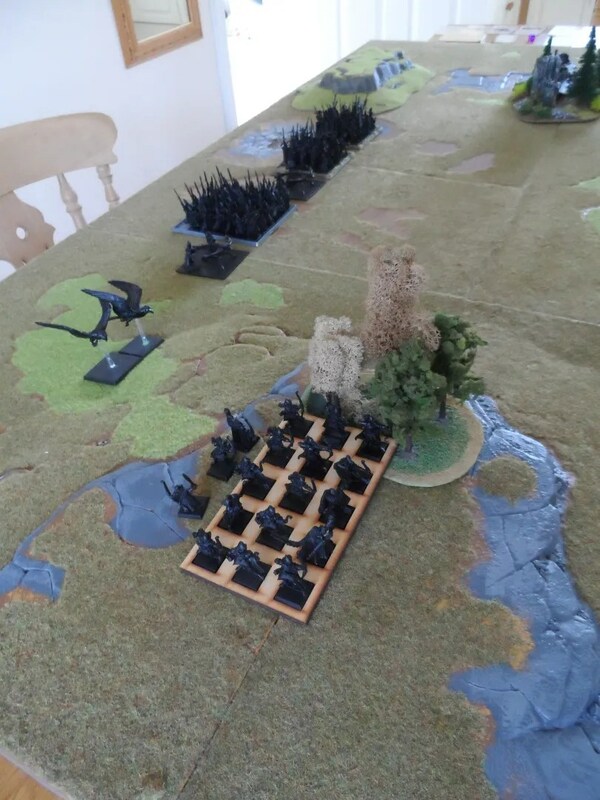 Anthony rolled two 6s for the winds of magic, and proceeded to carry out a very canny tactic of lots and lots of low level signature spells, which eventually wore my dispel pool and reduced the RXB unit to 4…in the first turn ! Shooting then reduced them to 2 !! 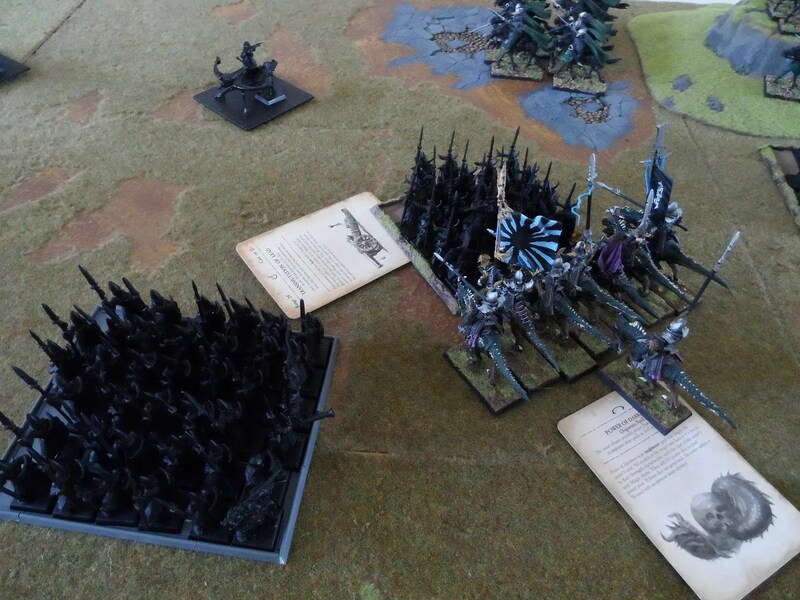 I charged forward anyway trying to outflank and encircle his infantry blocks to pick them off. 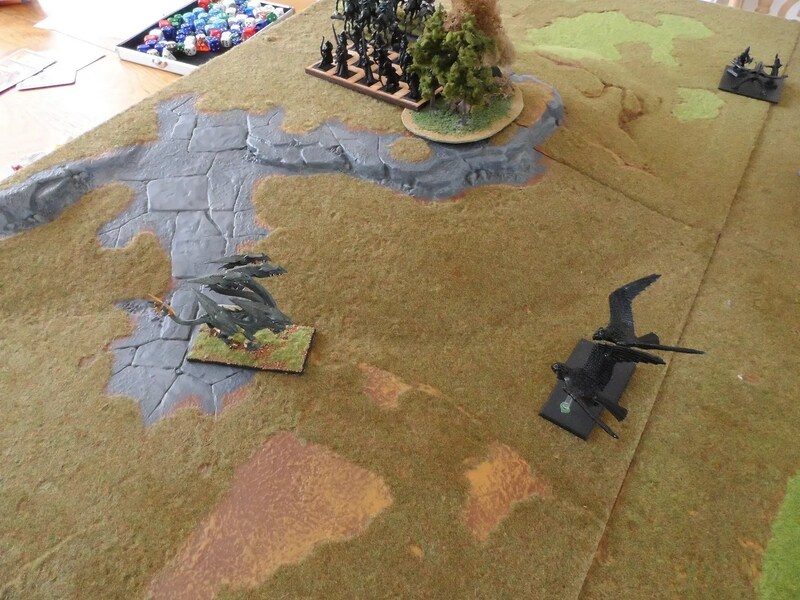 On my flank, the Dark Riders raced passed the Shadow warriors in the woods, whilst the hydra headed for the war eagles. This was a mistake. 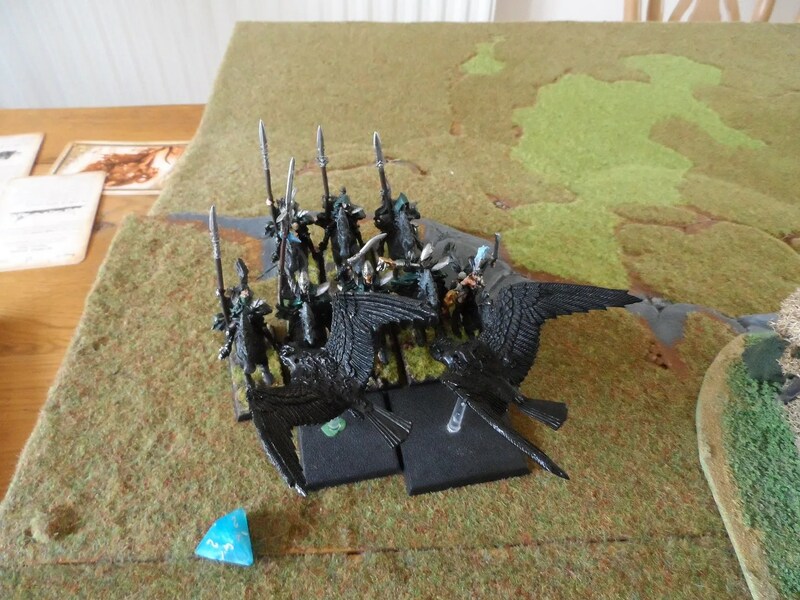 Because Anthony then charged the War Eagles into the back of the Dark Riders, who held for one turn before (as ever) I failed the LD test and they were cut down, including a Lvl2 Sorceress. 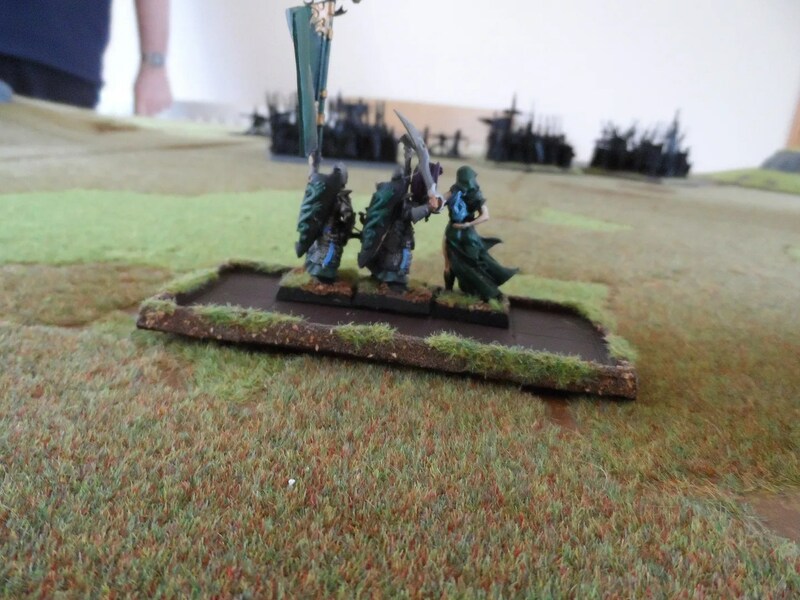 The Cold Ones charged the Lothern Sea Guard losing 2 on the way in ! 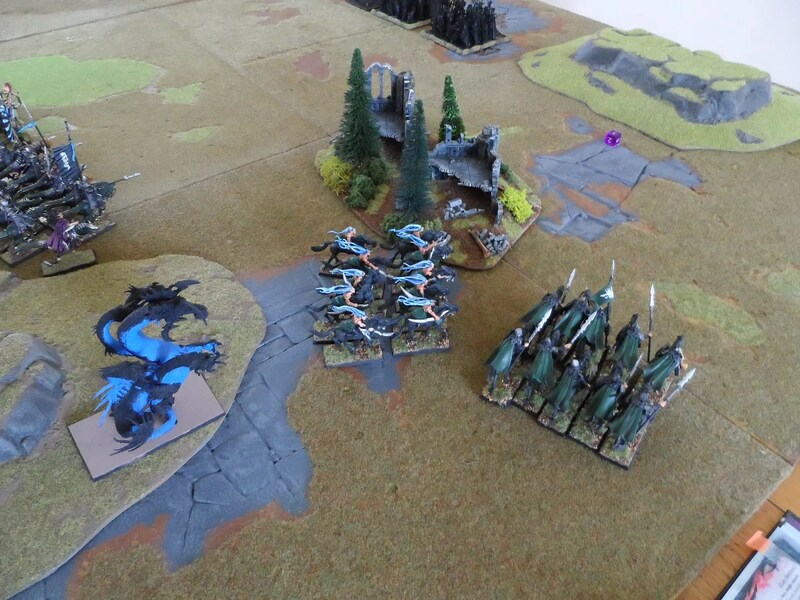 Anthony then moved the Spearmen to line up a flank attack.